Finding a good payment option as a US gambling player can be as difficult as finding a good casino online. There are so many different deposit methods available in the United States it's hard to know which is the best one. Do you go for a classic bank debit card, a check, a leading credit card, or one of the many online e-Wallets? It's no secret American players have struggled with payment processing in recent years, but with regulated states pushing the agenda the situation is getting better. With our great pages, you should find a real-money deposit option that's right for you. Click on a link today. Payment processing needn't be a problem for US players! When looking for good gambling payment methods for US players, you need to find something that is super quick, low on fees, and offers security you can trust. At OnlineGambling.us we have covered all the options, and you can find links to our dedicated pages below. Major credit card brands like VISA and MasterCard are accepted at thousands of outlets in the United States and Internet companies around the world. Every good US gambling site and casino will accept credit cards as a payment option, and they are a quick, safe way of loading up your account. Payment processing can sometimes be difficult in the USA (fallout from the 2006 UIGEA) and cashout times and fees can be big. If you have enough funds in your regular bank account, a debit card is a great payment method for casino real-money play. Fees may apply if you want to withdraw cash, but transactions will be protected with the best security around. One of the 'big two' of global credit card brands, VISA is accepted virtually everywhere online. And that goes for the big Internet gambling rooms too. VISA employs some of the best encryption around as well, so you can trust that deposits and withdrawals are protected. You can even purchase a VISA prepaid card without the need for credit. Along with VISA, MasterCard is one of the most trusted payment methods for US online gamblers. MasterCard has special codes in place for some United States gambling transactions which means it has become one of the top choices for gaming. Again, UIGEA has made processing a little tricky for USA players, but if you can find a gaming website that takes MasterCard, use it. Neteller were one of the online e-Wallets forced out of the USA after UIGEA hit in 2006. However, the site that was once among the on-line gambling favorites for US payments is back after a years-long hiatus. 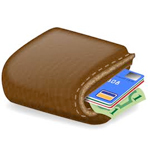 Neteller works a digital wallet which allows you to load up your account with many different cards. There is even a Net+ card available which lets you access funds quicker. Paypal was another leading e-Wallet who gradually stopped processing gambling online transactions after UIGEA. It's still difficult to use PayPal but if you're a fan of the e-Wallet option you will find plenty of viable alternatives. Formerly Moneybookers, Skrill was set up with Internet gamblers firmly in mind. Skrill lets you make small deposits to your online gaming account and make quick cashouts. Security is excellent too; Skrill utilizes the latest fraud protection to ensure your transactions are totally safe. Ukash is a great way of making a gaming deposit if you don't have a credit card. Find a local store which lets you exchange cash for a unique 19-digit code which you can then use at an online betting site to load up funds. If you have spare cash in your account you can even use a special withdrawal code to get your cash out of your local ATM. UseMyFunds has been a hassle free ewallet since 2002, when it was formerly known as UseMyBank. The interface is simple to use and user-friendly, and their high level of security and encryption ensure your details are safe.